In the pot Elemis pro collagen cleansing balm is thick and waxy, but when applied to the skin it melts and becomes a light, non greasy face oil. Like most balm cleansers, it makes make up removal quick and easy, but for me, the it's the blend of essential oils and aromatherapy scent which really sets it apart. Because the scent is so relaxing, the cleanser is an absolute joy to use, and I like to really take my time, massaging it into the skin. The only downside is that it's not suitable for use over the eye area, so you will need a separate eye make up remover first. The balm emulsifies on contact with water, and it comes with it's own flannel cloth so you can gently exfoliate and wash away any last traces of cleanser. Since using this, I've noticed a real difference with my skin, and no matter how much make up I'm wearing, it always leaves my skin feeling cleansed, but still super soft and nourished. So as you can tell, I'm a big fan of the new Elemis cleansing balm. In fact it's just one of 2 cleansers that I would repurchase. Definitely one to try out if you're new to Elemis or if you suffer from dry/dehydrated skin. 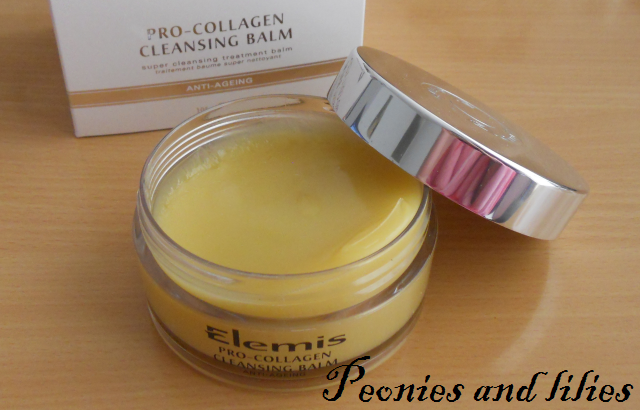 Have you tried Elemis pro collagen cleansing balm yet? What's your favourite make up remover? I have never used a cleansing balm before but this sound perfect for my dry and eczema-prone skin! Interesting! Cleansing balms are not something I've tried before but I bought one from Lush yesterday so I'll see how I get on with that before I move onto something more expensive.